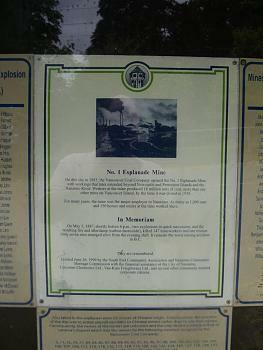 The Nanaimo mine explosion on May 3, 1887, in Nanaimo, British Columbia killed 150 miners. Only seven miners survived and the mine burned for one full day. 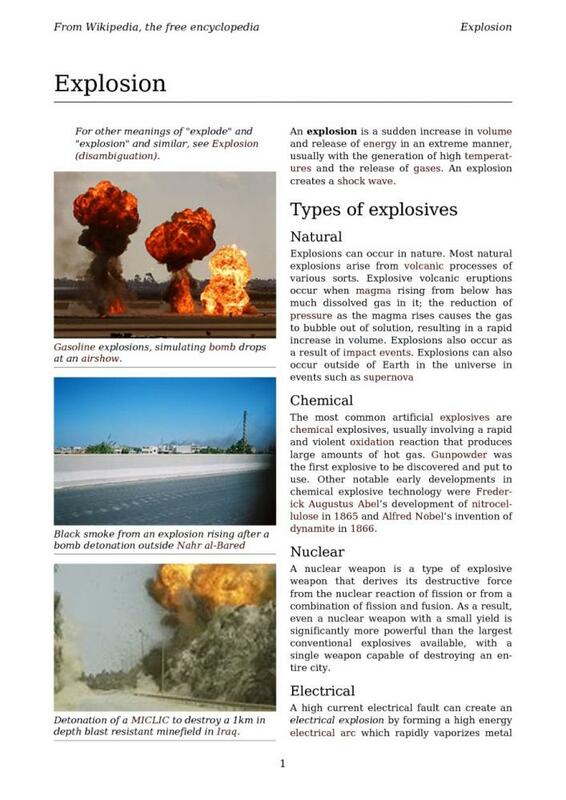 The explosion started deep underground in the Number One Coal Mine, after explosives were laid improperly. 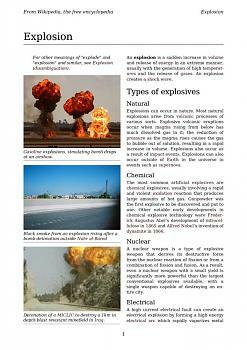 Although many miners died instantly, others were trapped by the explosion. These men wrote farewell messages in the dust of their shovels. Nearly 150 children lost their fathers and 46 women became widows. A plaque at the foot of Milton Street commemorates the event. Although past documents put the death toll at 148, researchers have since revised the number to 150, including 53 Chinese workers. 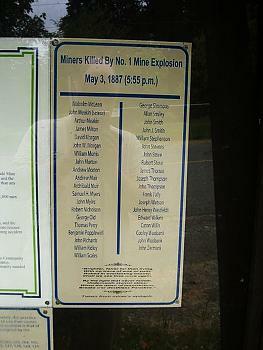 Chinese workers were listed in the government inquest and annual report of the Minister of Mines as "Chinamen, names unknown", followed by a tag number. B.C. 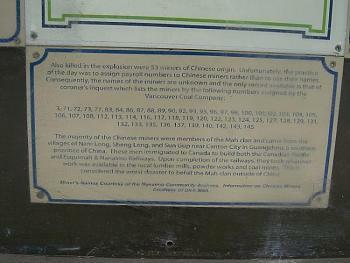 employers did not have to report the deaths of Chinese employees until 1897. 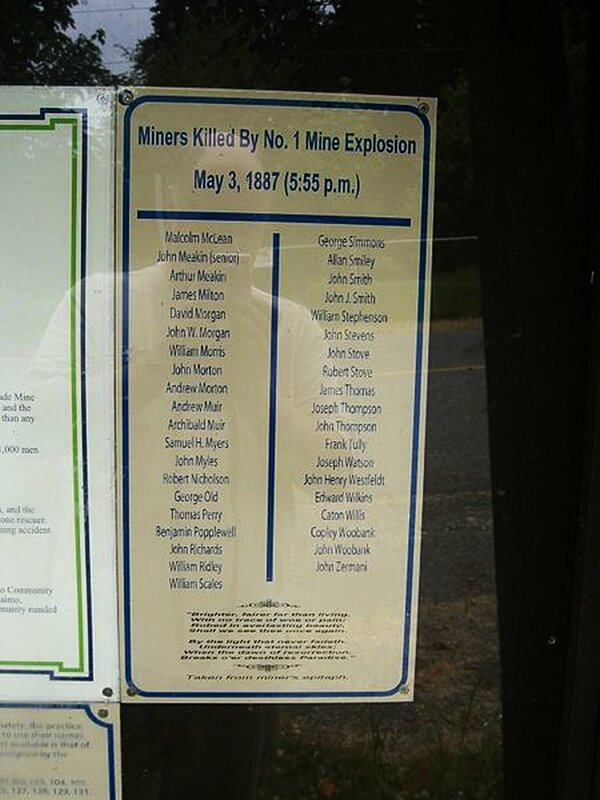 Some accounts suggest that 48 of the 53 miners had the surname of Mah ? records may have been destroyed when Nanaimo's Chinatown burned to the ground in 1960. 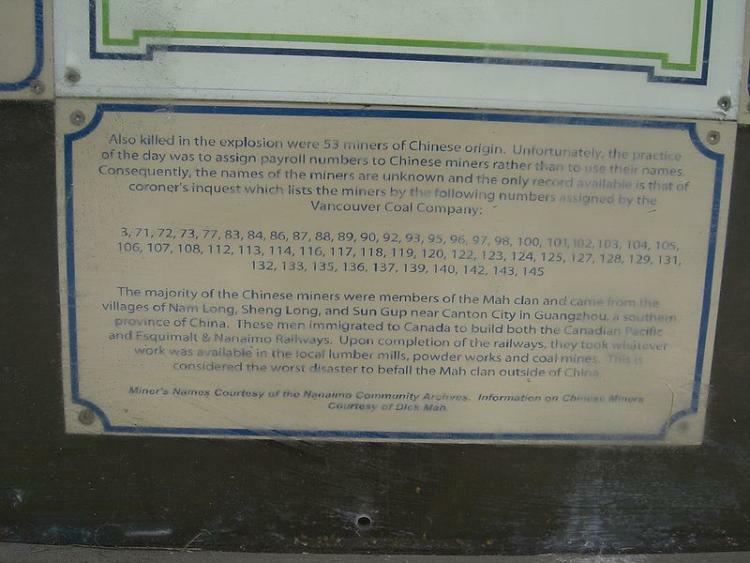 The monument on Milton Street lists the names of white miners, but only the tally number for Chinese miners, who were blamed by many white Nanaimoites for the disaster, claiming they could not read signs or instructions.